South Carolina LowCountry Nature Journaling and Art: The 2012 LowCountry Sketchbook Calendar is Ready!! The 2012 LowCountry Sketchbook Calendar is Ready!! CONGRATULATIONS on this milestone!! I'm so excited I just placed my order for one of these beautiful calendars! I can't wait to get it and see it up close! Congratulations on your calendar, Pam! 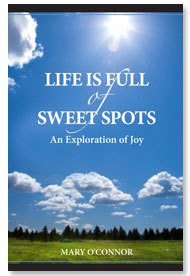 I ordered my copy today and will be able to enjoy your artwork every new month in 2012! Thanks, Rhonda!! I sure hope it does bring you joy! I ordered mine too and can't wait to see it in person! Thanks for taking the time to create the calendar for us. Just placed my order - it will brighten my New Year. Love your paintings. The real thing is even better than you see here! Thank you, Kay! I'm honored that you, Ann, Rhonda and Claire have chosen my calendar!! Popping back in to let you know that I received my calendar today and it's fabulous! This is a gift that I am keeping for myself :-) I know I will enjoy each month's beautiful sketch and it will be a continual source of inspiration throughout the year. I'm so glad you made these Pam!